Hi. I have a brand new i30 bought it in June this year. The battery has gone flat now 4 times in the last 6 weeks. I called the AA out the first time who said the battery was faulty so we took it back to the nearest dealership with him following. They had it for 3days & said the diagnostics said it is fine & it started first time for them & they refused to replace the battery. So we took it home. 4 weeks to the day it went flat again I rang them they still refused to replace the battery & wanted it back again for a few days to check it again. I work in retail & cant keep taking time off now to keep taking it back so thought I will wait till after Christmas. So I bought a rechargeable jump starter for £40. One week later it died again, Tuesday this week, jumped it and it was fine till yesterday it died again. Jumped it & it’s fine again. I contacted Hyundai about it & they basically told me to take it back to the dealer & they won’t replace a battery unless the diagnostics say it’s faulty. What has happened on 2 occasions is, if you start it then a ten minutes later stop the next time you go to start it everything flashes & all you hear is a clicking noise under the bonnet. I have also spoken to the dealership I bought it from who basically won’t change the battery either as they want it for a few days too & won’t take the word of the one I took it to that they tested it correctly! Nice to know they all trust eachother! Lol. I find it infuriating that none of them will replace the battery on a car that is 5 months old! It’s the same old story they treat you well when you are buying it but when something goes wrong they don’t give a damn. This is not the only problem I have too. I have led headlights which are not right which the also say they can’t find a problem with! I’m not very happy. That is very frustrating to say the least. Do you have a buyers advocate or ombudsman over there that keeps dealers and manufacturers honest? I would be contacting them for assistance. It is certainly not good enough! Could be a connection issue. Either a faulty earth or loose terminals, but you would think AA or the dealer would have picked that up! It's my understanding that these and batteries are not handled by the dealership if there's a problem. If it was me, I'd take the battery to whoever is an agent or distributor for that brand. They at least may be able to diagnose the problem. I understand from your post that you aren't recharging the battery each time, just jump starting it. Hi guys thanks for your comments. I have found a few videos on YouTube of people with the same problem but no mention of an outcome. This is exactly what happens to mine. Thats my conclusion too. Batteries don't behave like this, they are either good or bad and stay that way, end of story. If your lights are also dying , as per vid, then its a poor connection near the battery, +ve or -ve. It also sounds like a few Wally sudo-mechanics ( AA included) are advising or working on your car. Had a lady come into Goodyear Woolloongabba back when i wass manager there (bloody hell! 40 years ago). Think she had a Valiant. 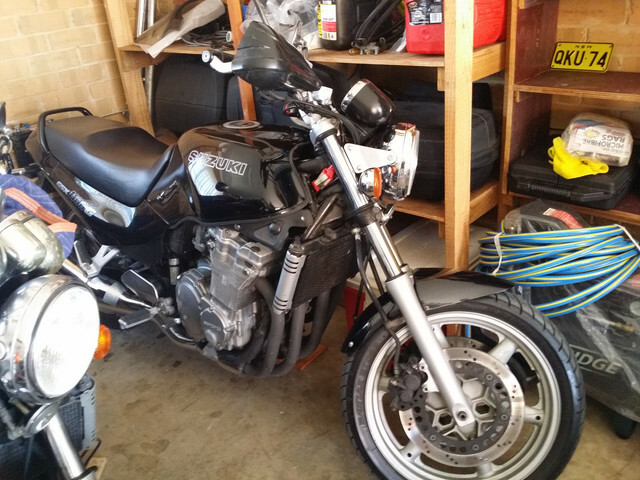 RACQ had jump started her, tested the battery and told her it needed replacing. I popped the bonnet, put my hand down and lifted the positive lead straight off the terminal. She became a very loyal customer in the years to come. I believe she gave the RACq a decent serve, too. Hi. The battery terminals are fine. This is one of the first things I checked. I had that haplen to a brand new Peugeot I bought car went out of control & caused an accident. Had to get solicitor involved & ombudsman will never buy a Peugeot again. This is why I changed to Hyundai they were highly recommended but it seems their customer service is nearly as appalling as Peugeot’s. Unfortunately, a badly run dealership can reflect poorly on the whole brand. note I said "a poor connection near the battery, +ve or -ve." Battery -ve (negative) is connected to the chassis, therefore the entire metal body of the car becomes -ve. check earth straps from chassis to motor etc. Also need answer to "If your lights are also dying , as per vid" ?????? It's rare but there could be a loose post in the battery. when it's making contact. no problem. When it moves just a little bit, no power. And wriggling the top of the post won't necessarily produce the fault. I've only ever seen it twice. Hi. Everything including the lights just flashes on and off when it’s clicking. It’s done this again twice this week. Now 6 times randomly in the last 5 weeks. Glad I bought the rechargeable jump starter. Its at or near the battery. There may be nothing wrong with the battery or the car. My fathers petrol I30 wagon that is only driven once a week has ongoing battery flat issues from new. There is nothing wrong with the car or the battery. I30's draw off the battery even when shut off. Security system for one and electronic rust protection if fitted. 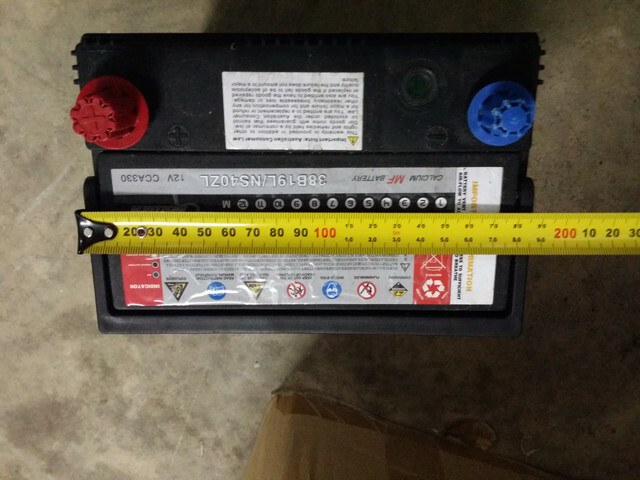 The battery will only keep charge for 3 days sitting idle and we are talking Hyundai paste ni cad type battery not lead acid. Charge with smart charger if car not driven with in 5 days. sorry mate, that is utter nonsense. If that was the case, cars would still have crank handles. 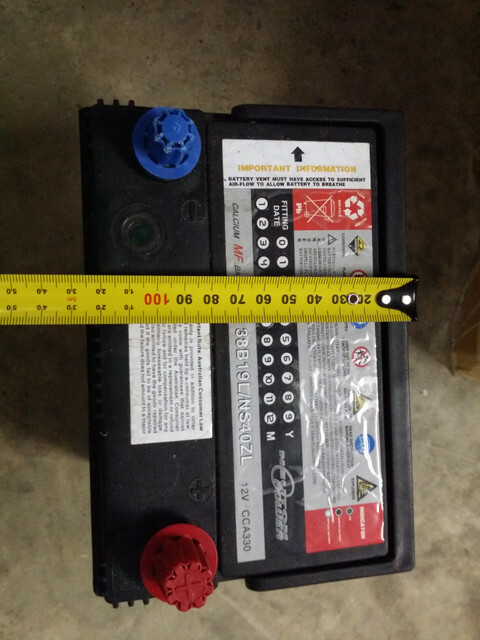 All cars draw from the battery as described. It is negligible current (milliamps) compared to what a battery has stored and can deliver ( AMPS). a good battery will keep its charge for months. if you have experienced the 3 day issue, you have a fault possibly with leakage through alternator rectifiers or similar. "electronic rust protection" could be a source, not only due to the alleged voodoo anti-rust act , but also similarly dodgy electronic design. We don't use the PD Elite a lot, so it sits in the garage sometimes for weeks without being started. In the beginning I had draining battery issues where it would just start, but with noticeable low charge left in the battery. Run the car and the next time (short while, days at most) it would start ok, but give it a week or so and back to seemingly low battery. After some thinking I pulled the Hyundai link thingie from the OBD plug. Guess what? I can leave the car now for weeks without ANY issues. As nzenigma said, the rest of the stuff (factory installed NOT aftermarket) in the car will not drain the battery over time. Perhaps over many months, but definitely not weeks. How's the jump starter going , or has problem been sorted ? We love feedback to help others in future. I had to buy a new battery in the end. The Sunday between Christmas & New Year it would not start at all so had to call the AA out again. The guy said the battery was knackered completely & doubted it would start again. He said it should have been replaced Bynum the first place. Trouble was he couldn’t put a new one on as Hyundai won’t let Hume as the dealership has to do it. None where open on a Sunday so all he could do was get the car started so I could get it home. No hire car available under the Hyundai warranty until Monday. I had to get to work some how sovdrove it to the nearest place open with a battery which was Halfords. They tested it twice and condemned it. I paid £170 inc fitting. The next day I emailed Hyundai customer services & had a right go at them & their dealerships! They have offered to pay me back for the battery but nothing else. You would have thought they would have paid me the £35 I had to pay for the rechargeable jump starter but they refused. Their gesture of good will was to pay me for the battery which they should have replaced in the first place. Very poor customer service! Full Refund for battery is good, Need to have a think about changing service provider, if they got that wrong, look out if you get something "difficult "
You can keep the jump pack for when that one dies in around 4/5 years. mate before you state nonscence the old fella has a petrol euro import I30 wagon with a battery about the size of a motor bike battery. If you want to go check it out he lives just up the road from you at petrie. He drives it once a week and has to pre charge the battery before he uses the car. hyundai states nothing wrong with the car and that the current draw is keep alive security system electronics and the anti corrosion pack. If the car is run - started every couple of days there is no problem. But sitting idle for 3 days you see the voltages start to drop to a point where it won't start within the week. 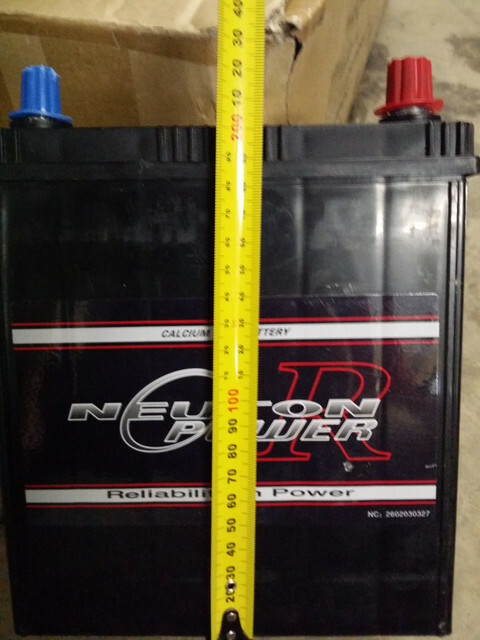 My 2010 fd battery to 10x bigger than the one in dad's car and i have never had an issue with it. Who put the bike battery in it? Just buy him the correct battery. Ahh, I've read your previous post and was scratching my head thinking WTF ? Your dad's must have a small engine? , any chance of fitting a "real" battery? May need to alter battery tray. If not possible, how about a master switch ? You're not just a pretty face, my man?